The Come-back kid? 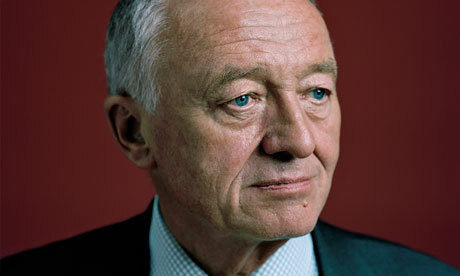 Ken Livingstone seeks a second-preference endorsement from Green voters. The current London Mayoral election gives the Green Party one of our most prominent platforms in the electoral cycle, allowing us more of a voice in the debates affecting the capital. In the 2012 election, we have already scored a victory by being considered as a “second tier” party in terms of BBC coverage, a step forward from previous occasions and accounting for the distinct possibility of beating the Liberal Democrats into third place. The truth however, is that Jenny Jones faces a Herculean task in transforming our current levels of support into a winning hand at this election. Like it or not, (and I sincerely don’t) the reality is that either Ken Livingstone or Boris Johnson is likely to return to City Hall and push forward the agendas they are currently laying in front of the electorate. With such a split contest however, they are very much dependent on second preference votes – and on Monday evening Ken Livingstone joined a meeting of London Greens to answer questions on his policies and pitch for a formal endorsement by the Party to the wider membership for our second preferences. With opinion polls neck and neck between Labour and the Conservatives, the decision of our voters could be crucial. Later today, the London Green Party intends to announce the democratic decision of our membership formally, so I will draw a discreet veil over the subsequent debate by members and leave it to your imagination. Instead, I’ll focus on my impressions up close of Ken and whether he was persuasive in his answers to the number of concerns that Greens have around his candidacy. During the short time as he settled into his seat and faced the audience, he seemed more tired, less dynamic than I had expected. I shouldn’t have doubted his political energy and ability to connect with an audience though, even if they disagreed with him at times. In temperament and past record, he made flattering common cause with Greens and argued passionately for why our agenda was safer under his Mayoralty than left to the neglect (or worse) it would experience under a second term of Boris. Yet, in spite of my personal grudging respect for him, I do notice that he shares the ability as a politician that Tony Blair possessed in his early career. Throughout the evening, he span convincing mood music around an issue, sufficient to make you believe that you could trust him to take decisions in line with your views, whilst carefully avoiding too many direct promises. I felt I had a responsibility as the Chair of LGBTIQ Greens to thank him for his record during the 1980s onwards on gay rights, but to challenge him on recent press (such as his invitation of a extremist Muslim cleric to City Hall who had a track record on advocating the execution of homosexuals) and ask what his policies would be for gay, lesbian, bisexual and transgender equality in a further term. What I got was a renewed commitment that the battles aren’t yet won, his concern about increased homophobic attacks in the capital and a snipe at how the media twists his comments. And not a single concrete promise. I’ll be writing again after our formal announcement with my reaction and analysis of whether London Greens should advise voters to give Ken their second preference or not. Please keep an eye out for the second part of this blog post. Did you invite Boris? Or was the choice between endorse Ken or nobody? The London Greens did analysis of the two frontrunners to compare the policies with our own and unsurprisingly, Boris was so beyond the pale on any of the key political pledges there was never any chance that we’d want to consider him. So yes, the choice was either to recommend that Ken receive our second preference or to show no favour either way.